Every preschool teacher knows what advantages hands-on learning brings to their educational material. Children constantly bring home educational crafts based upon the material they are currently covering at preschool. Boost your curriculum with these preschool fruit crafts, which are sure to bring joy to every student. Make learning fun with these preschool craft ideas! The materials needed for this craft are simple. Each child receives a pre-cut paper banana, apple, pear, grapes (bunched together as one item), and an orange. Each fruit piece should be roughly 3 inches in diameter. Each student also receives a standard size white paper plate. Paint, markers, or crayons are also needed for the students to color the fruit and the plate. Lastly each child will receive six, 12-inch pieces of yarn in any color. Prior to handing out the fruit and plates punch one hole at the top of each piece of fruit and six holes in the plate, 5 around the rim of the plate where the fruit will be attached and one in the center where the hanging string will be knotted (or tied such as in the picture) through. Discuss the fruits you have given to each of the children and their characteristic colors. Have the children color the fruits accordingly using the medium of your choice. Have the children color the plate brown since it is portraying a basket hanging upside down. Once the paint has dried, tie the yarn through the completed pieces so that they hang as if a fruit basket was over turned. Your students will love hanging their fruit “mobile" art from the kitchen ceiling, which will also serve as a great reminder about healthy snacking choices! This craft can work a multiple of ways depending on the skill level of your classroom. The fruit is your choice, and may depend on the lesson plan. You could have a traceable picture of a fruit. In which your students could trace and cut out accordingly. They could be drawn out by you, in which your students could simply cut them out. 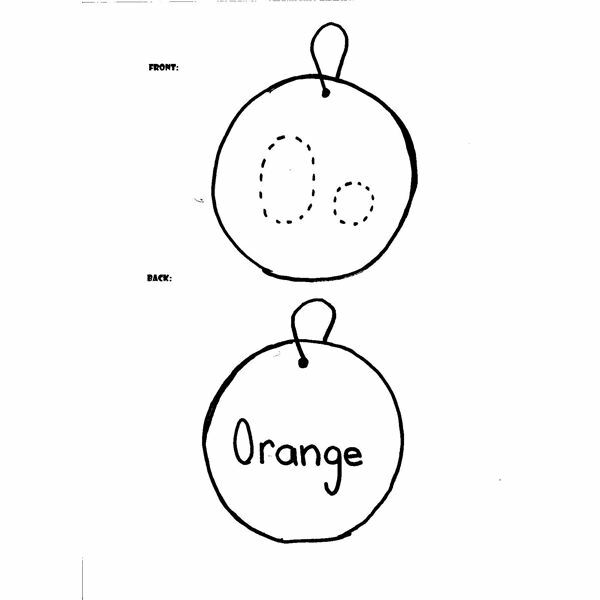 Finally they could be pre-cut with a traceable letter of the alphabet that the student will trace after they color and embellish the fruit ornament. For example you could have them place stickers on it, glitter, or same color tissue paper pieces around the words and letters. Once done, tie a piece of yarn through a punched-out hole, and give their student’s their ornamental fruit-art. This could be hung on a Christmas tree or for use throughout the year! Start this craft off by having a bowl of common fruits with their characteristic colors written on each one. You could make a simple drawing and photocopy one for each student (refer to the picture at the left). 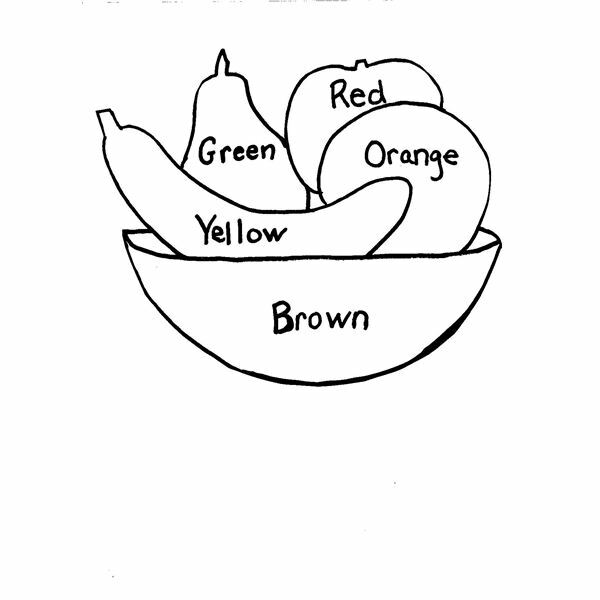 The children could use crayons, markers, or paints to complete their fruit bowl. This craft is wonderful when included to any fruit, food, or nutritionally themed lesson plan. As the children are coloring they are engaged in hands-on fun while learning multiple concepts. They are seeing the names of the colors of the words and actively using those same colors. They are engaged in learning the fruit names via your lesson plan, and their corresponding colors. Finally they have a visual “map" of what healthy snacks consist of for future reference. This small craft comes in a big educational package! Preschool fruit crafts are a welcome addition to any classroom. Offer hands-on learning to your students with these fun crafts. 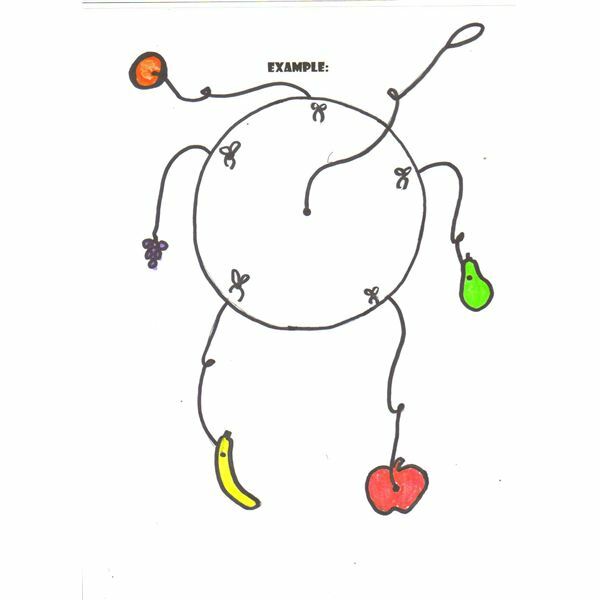 If you are teaching about nutrition, food or fruit-specific concepts, these crafts will enhance your educational material. Plus, it is always enjoyable to see any student become actively involved in the learning process!